Haji Ameen, father of little Zainab condemned the irresponsible statement of Azad Jammu and Kashmir Prime Minister Raja Farooq Haider about the sexual assault and murder of his daughter. Zainab’s father held the statement as baseless adding he lives in a combined family along with his brothers. AJK PM ridiculed Zainab’s murder by attributing the blame to her parents for going abroad leaving the child in someone else’s care. 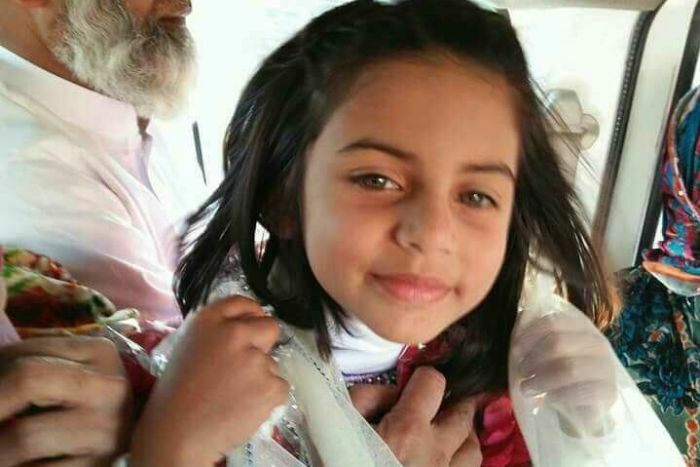 LAHORE: A man arrested due to his resemblance to the prime suspect appearing on the CCTV video with Zainab has been handed over to the Kasur authorities, Lahore police officials informed on Wednesday. The man was held from Bhatta Chowk, Lahore earlier this week. 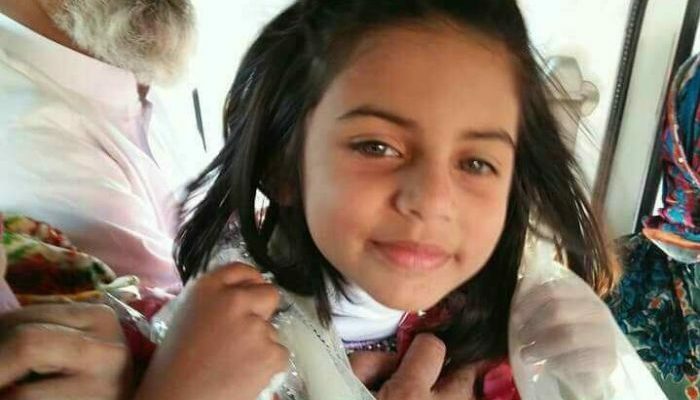 Zainab, 7, was kidnapped on January 4 from near her aunt’s house in Kasur. Her body was discovered five days later from a garbage pile. The post-mortem report revealed that Zainab had been raped and murdered. Moreover, the authorities have informed that the suspect’s mobile phone location shows he was in Kasur. The suspect has been handed over to Kasur police for his DNA test. Speaking on the case, DIG Operations Dr Haider Ashraf said that Lahore police is providing its utmost assistance for the Kasur case. Earlier, on Jan 16, a Supreme Court bench expressed its displeasure over the lack of progress by the Punjab government and police on the Zainab case. During proceedings, Punjab additional inspector general (AIG) and advocate general (AG) appeared before the court. Addressing the officials, the chief justice remarked that no significant progress in the case was visible so far, adding that “you can inform us in our chambers if need be”. The entire nation is aggrieved by the incident. What has been done in the case so far?” the chief justice inquired. The AIG responded that investigations were underway, whereas the AG informed the bench that around 1,100 suspects have been questioned in the case. “If the issue isn’t solved then it’ll be a failure of the government and police,” the chief justice observed, adding that the same mistakes are made in every case after which suspects are exonerated due to shoddy investigations. The AIG informed the court that eight similar cases emerged in Kasur since the last year and a half. “The government cannot give a time of arrest,” the AIG informed the court. Chief Justice Nisar observed that millions of rupees are spent on safe city projects, adding that there should be a firm belief that the killer will be caught as the court doesn’t “want the suspect caught and killed in an encounter”. During the hearing, the chief justice also remarked that the accused in the Zainab case is a serial killer. “The statement is extremely deplorable. I condemn it. People do not fear God that is why they make such utterances,” said the grief-stricken father. According to earlier reports, the prime suspect is involved in murdering at least eight underage girls. During a meeting on Sunday, the Inspector-General of Police Arif Nawaz had personally visited Kasur to hold a meeting with the JIT members, who briefed him on the case. It had also issued a fresh sketch of the suspect after obtaining a new picture from CCTV camera, however JIT could not obtain any information about the suspect from NADRA database. They had also decided to conduct DNA tests of all people matching the suspect’s age and living in a two-kilometer radius of the victim’s house. It is pertinent to note that the origin of a CCTV footage circulating on the media and social media of a man resembling the suspect remains unknown. Police have denied releasing any such CCTV video. The ‘suspect’ has reportedly been cleared by the investigation team after appearing before the JIT. Another picture of a person standing behind the father of the victim went viral, resulting in him having to issue a video statement to clarify his position. Earlier, a picture of a person standing behind father of victim Zainab at Islamabad airport had also went viral. The person has to issue a video statement online to clarify his position.